Want to take your web browser with you? 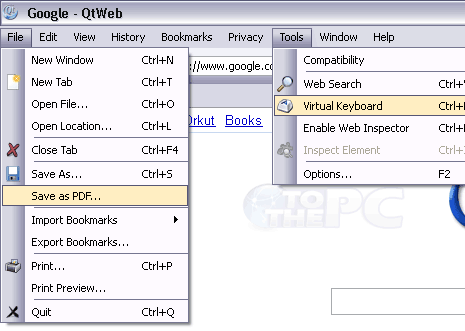 QtWeb is a portable web browser that you can carry in a USB drive or CD, DVD dics. Just one exe file (5MB), launch it to open web browser and start surfing the internet. 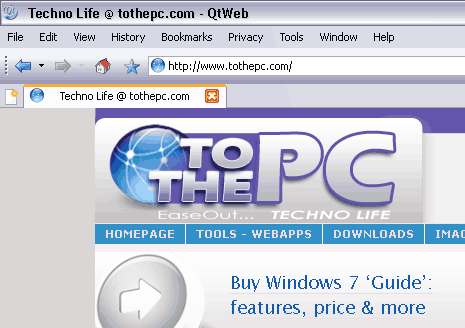 Once you launch the browser, it will create 3 folders: downloads, QtWebCache QtWebSettings. You can delete these folders anytime after browsing session is over and leave no trace of your internet browsing. 1. It is free & light weight browser (installer & portable editions). 2. Allows you to save any webpage in PDF (File > Save as PDF). 3. Open links in tabs instead of new windows by default. 4. Multi-language support (English, French, Spanish, German, Italian, Chinese, Swedish, Russian). Portable version has few limitations as it does not allow creation of shortcuts and folders. It does not include User Guide (online Help is available). Inspite of these limitation, it has huge advantage of being fully portable. Download QtWeb portable to surf internet from anywhere without leaving any trace.